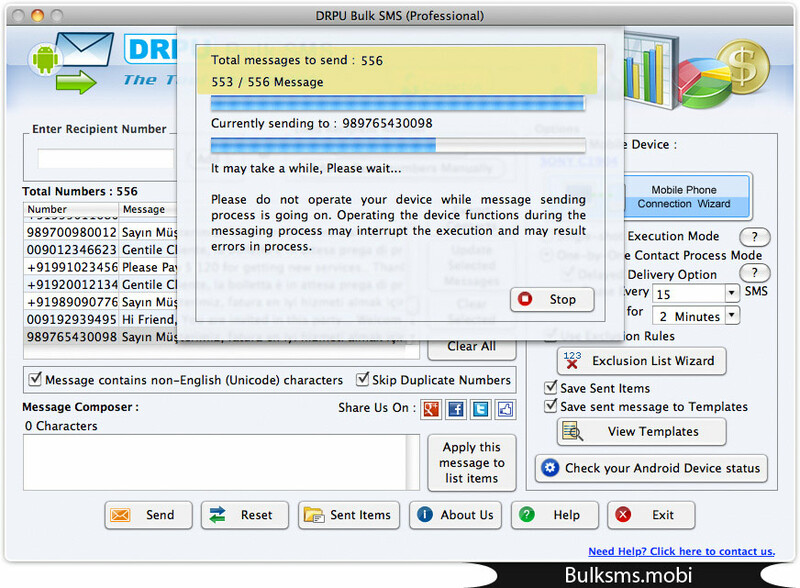 Screenshot displays total contact numbers loaded and corresponding messages. 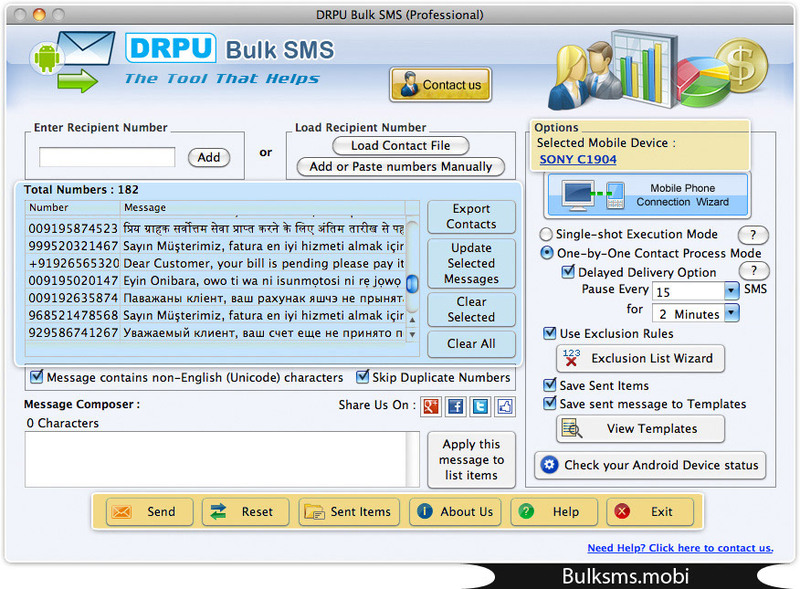 Select “One by One Contact Process Mode” (Each number in the list is executed individually) and click on “Send” button to send bulk SMS. Currently performing SMS sending process. It is recommended that do not interrupt during sending process. 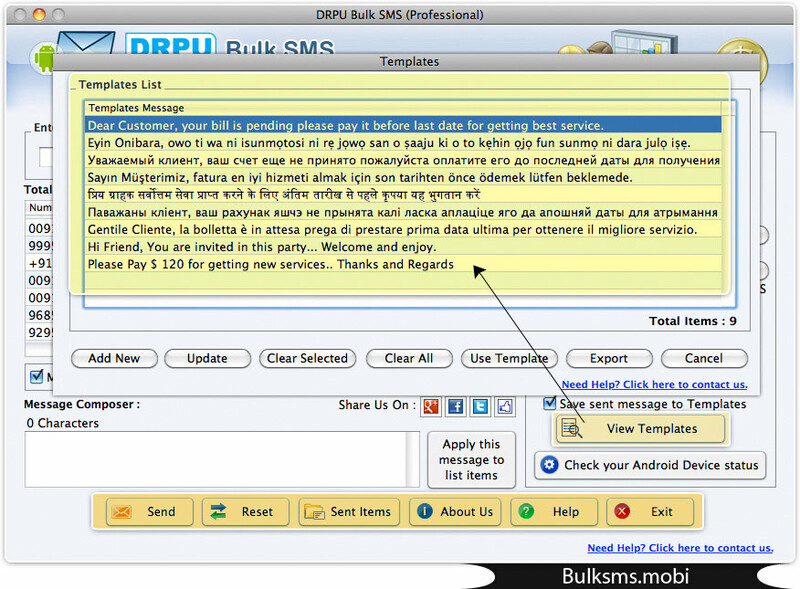 By Clicking on “View Templates” button, you can see entire saved template messages.